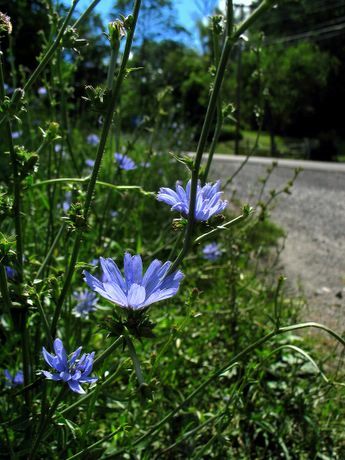 This time of year, every roadside is blanketed in chicory flowers - if the weed whackers haven't gotten to it. I wish I lived in a truely small town. Where I live is considered a small part of town but as i've grown up it has REALLY expanded. So that's what these flowers are called. Thank you. And what a pity the weed whackers destroy them. I often wonder what makes a weed (nasty -- eradicate) and what makes a wild flower (desirable -- protect). When this photo opened, an "Oh!" rushed out of me. Really fine shot. You are such an accomplished photographer, you make me want to visist Sharon in 3-D. I don't think being there would capture the place quite like you do, though. You should be very pleased! Thanks for opening our window on your lovely town. Nice shot! I know I've heard of chicory for a long time, but I had never seen it. Now I have! 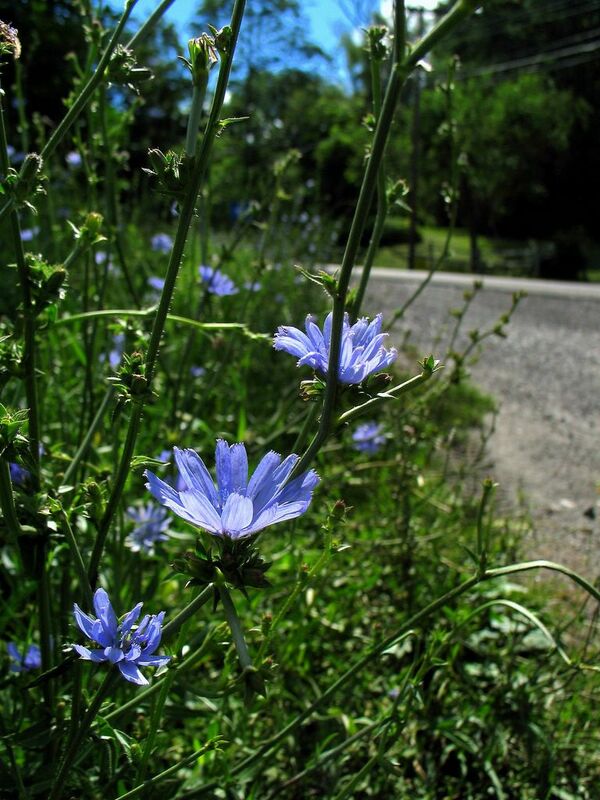 What a nice little flower, so bad they have to mow them down on the roadside, but I suppose, tall grass on the roadside is a traffic hazard. Oh, the blues are clear and lovely.